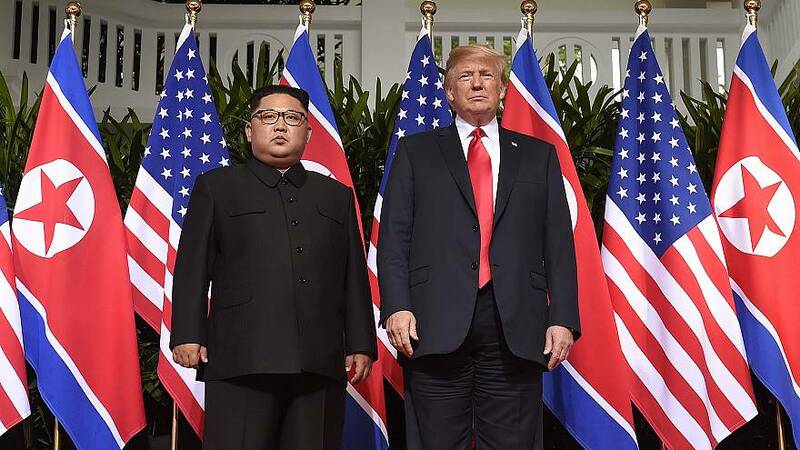 President Donald Trump confirmed Friday that a second summit with North Korean leader Kim Jong Un will be held in the Vietnamese capital Hanoi on February 27 and 28. "My representatives have just left North Korea after a very productive meeting and an agreed upon time and date for the second Summit with Kim Jong Un," Trump said on Twitter. "I look forward to seeing Chairman Kim & advancing the cause of peace!" he added. U.S. Special Envoy for North Korea Stephen Biegun held three days of talks in Pyongyang to prepare for the summit, the State Department said on Friday. Biegun also met with South Korea's Foreign Minister Kang Kyung Wha on Saturday to brief Seoul on developments with the North and discuss plans for the summit. In a statement, South Korea's Foreign Ministry said "the two sides agreed to communicate and coordinate even closer than ever" ahead of the second Trump-Kim meeting. Trump announced a pact aimed at the denuclearization of the Korean Peninsula following his first summit with Kim in Singapore and has since suggested the country is no longer a threat. 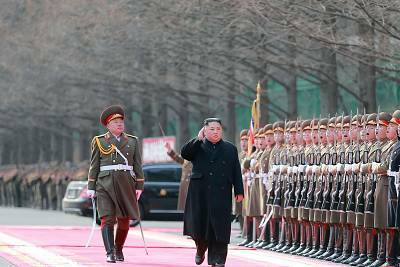 But there's been little concrete progress on a plan to denuclearize and U.S. officials have told NBC News that Pyongyang has continued to develop ballistic missiles at undeclared sites. On Friday Trump also praised Kim, stating on Twitter that he would help drive North Korea to become"a great Economic Powerhouse." The president had previously announced Vietnam as the summit location, but the city hadn't been identified. The confirmation of the location for the summit follows last week's State of the Union address, in which Trump confirmed when the meeting would take place. "As part of a bold new diplomacy, we continue our historic push for peace on the Korean Peninsula," Trump said. Yet critics have said the deal signed between by Trump and Kim in June included no specific language on a plan or timeline for disarmament, making it difficult to enforce. Experts have more recently warned that North Korea's compliance in talks is no more than smoke and mirrors. In a recent report sponsored by the military think-tank Center for Strategic and International Studies (CSIS), a secret ballistic missile base had been uncovered by experts along with 20 other undisclosed missile sites in the country. North Korea's Foreign Minister told the United Nations last September that it won't be the first to disarm and that sanctions imposed on the country are a source of continued distrust for in the U.S.